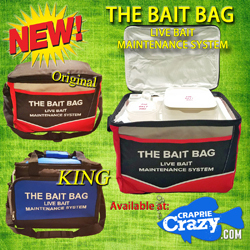 Crappie Crazy.com: Crappie and Crappie Fishing all Informative Website. Dedication: We are dedicated to the Crappie Angler and the pursuit of Crappie and Crappie Fishing. Provide, Promote & Preserve… that is our bottom line! 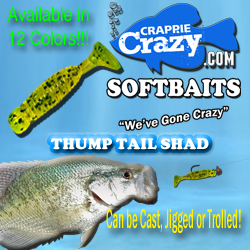 The Story of CrappieCrazy.com: Have you sat in your house, or at work bored, wishing you were on the water in pursuit of a Slab Crappie? Or just dream about a crappie of any size pulling at the end of your line? Well we sure have! And that is how it all began. We have spent countless hours searching the internet for Crappie and Crappie Fishing Websites and we found hundreds of great sites. We soon found out, too much time looking was involved. That’s when we decided to put it all together. A (all in one), all informative website, dedicated to the Crappie Angler just like us! And thus CrappieCrazy.com was born.